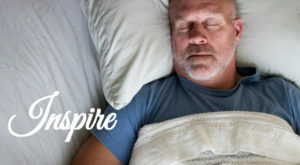 Inspire Medical Systems,Inc., the manufacturer of the only FDA-approved active implantable device for obstructive sleep apnea (OSA), announced today that its Inspire therapy was selected the #2 ranked medical innovation that “has the power to transform healthcare in 2018” by a panel of top physicians and researchers at the Cleveland Clinic. worldwide since 2014. This small device is implanted under the skin during an outpatient surgical procedure. Once implanted, the Inspire neurostimulator delivers mild stimulation to the hypoglossal nerve, which controls the muscles and movements of the tongue, thereby stabilizing the upper airway and improving airflow during sleep. Patients use a sleep remote to turn the therapy on when they go to bed, and can adjust their own therapy, as necessary. A link to the press release from the Cleveland Clinic announcing the full top-10 list can be found at: http://cle.clinic/2z9bGdR. Schedule a consultation to discuss Inspire CPAP replacement, sinus surgery, rhinoplasty and our other services. Contact Dr. Timothy Jones today. You can contact our Oklahoma City office directly at (405) 418-5400. Getting Cheeky In The New Year Are You Ready For Valentine’s Day?